Do you bottle up your anger when you argue with your spouse, only to let it out in occasional outbursts of rage? Prepare to have debilitating cardiovascular problems when you’re older. Or do you shut down when confronted with conflict, “stonewalling” your significant other? Musculoskeletal ailments may well be in your future. These are the findings of a new study on the connection between emotions, behavior and physical health, led Robert Levenson, a psychologist at the University of California at Berkeley. The findings suggest a link between how we express particular emotions and specific health problems. People who stonewalled during conflicts — speaking less than usual, avoiding eye contact — showed a greater likelihood of developing stiff backs, necks, joints and muscles. Their spouses literally gave them pains in the neck. Conversely, those prone to blowing up at their spouses were at greater risk of cardiovascular problems such as chest pain and high blood pressure, suggesting arguing with your married partner might literally give you a heart attack. 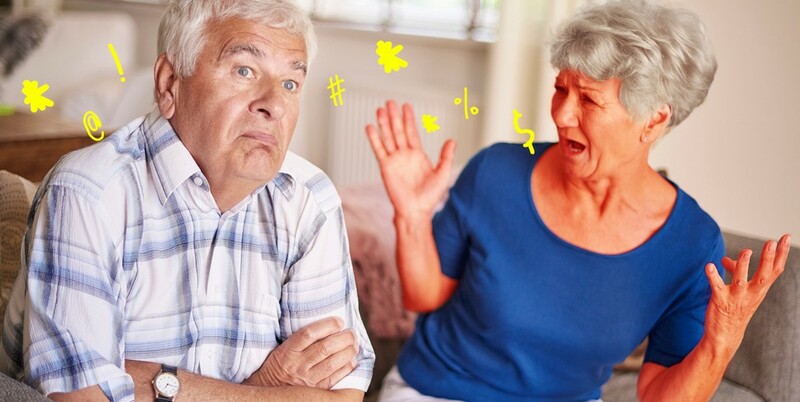 Published in Emotion, the study is based on 20 years’ worth of data on 156 heterosexual married couples — who are now middle-aged or older — and how they argued. By studying arguments that lasted just 15 minutes, the researchers were able to accurately predict the health problems participants would suffer over the next 20 years. Every five years, the researchers videotaped the same couples engaging in a conversation about their shared lives, specifically about the events that brought them happiness and those that caused strife. Their facial tics, body language and tones of voice were examined and rated by behavioral coders, and the data were compared against questionnaires about the participants’ health issues. The relationship between the mind and the body has been the subject of research and debate for centuries. There are still many questions about the ways that thoughts and emotions may affect the body (and vice versa) but some connections are already well-known. A runner’s high. Stress-induced skin problems. And now, arguing styles as predictor for health problems later in life. John is a staff writer at MEL, where he last about how sometimes getting a raise can be the worst thing for your finances. Bachelor for Life? Or Just a Shorter Lifespan?